TAMPA, FL – The Independent professional baseball showcase will have its annual spring training tryout camp in Georgetown, Delaware. The League is now near the end of the Free Agent signing period. If you’re looking for a chance to play professional baseball in 2019, this is your opportunity to sign to the 4 federation leagues (Frontier, Atlantic, American Association and CanAm) right from camp or be selected to play in the Empire Professional Baseball League. Register and get accepted into the 2019 Spring Training Camp. Click Here to select your camp, finalize registration and follow the itinerary posted under the Spring Tryouts Camp Link. If you were cut or released by any other leagues that wouldn’t give you the chance, Get accepted today and we will see you at camp! There are 4 Elite level Indy Leagues that are part of a Pro Baseball Federation! They play in multi million dollar Stadiums, and generate great revenue as they provide an opportunity for experienced released players to get back to MLB ball. We support all players dreams and encourage them to always attend those league tryouts as it is a dream opportunity and a true desired path to get into Affiliated Baseball! However, it is important for players to know.. That if you don’t come from high level college or Affiliated baseball it is extremely difficult for players to get in to those leagues without strong credited experience. That’s why the Empire League exists! !Players enroll in our showcase program and nearly 50% of our players are sent up to play in these leagues either directly from camp or throughout the summer season. Even though one of those leagues doesn’t realize the fact that the Empire is simply a platform that provides players that experience and gets players ready for their needs, the Empire League is still one of the leading ways of getting into those top leagues. 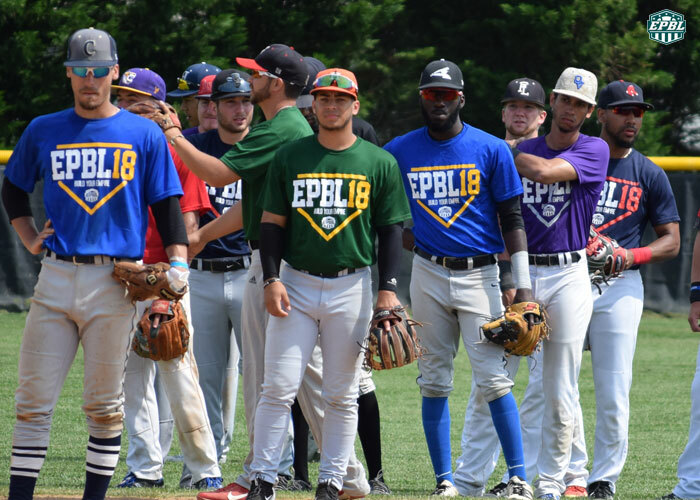 We Proudly Thank the Atlantic League, American Association, Frontier League and CanAm League organizations that every year sign players to fill their needs during the season with our prepared Empire League players! Players, do your homework, always stay ready, and attend all tryouts that at least give you a probability of getting a shot. We support and believe in programs that are about the players such as the Black Sox Baseball Organization and PRIBL programs doing great things for players. Never Give up Guys! And your at Bat could be here!